It’s been said that studio albums are artistic statements; live recordings are self-portraits. 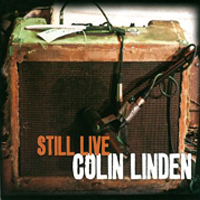 Colin Linden’s Still Live is an epic autobiography, a tale of two countries and a multitude of genres, all rendered with total commitment, mastery and an infectious enthusiasm that reminds us all just why we fell in love with this music in the first place. Recorded live at Douglas Corner Café, Nashville, TN October 29, 2010.